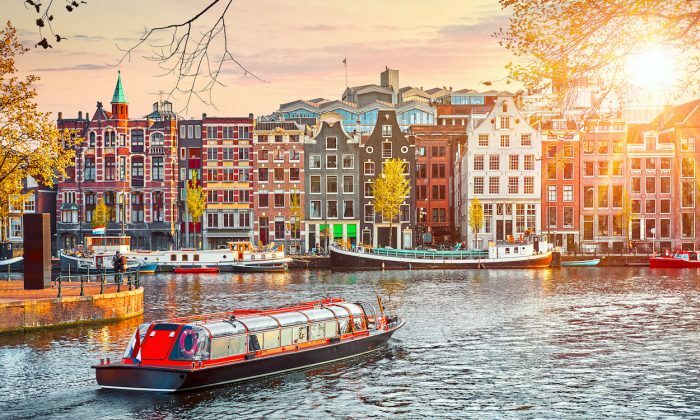 Amsterdam is a city of bicycles and canals, distinctive architecture and friendly people, and a city with a personality to suit any taste or budget. We revisited Amsterdam in November and spent a couple of days savoring some of the well-known treasures that the city has in excess, along with an annual holiday event that turned out to be the highlight. By pre-arrangement, we were collected at Schiphol Airport and driven to our hotel in a luxurious black Tesla model X with the falcon wing doors—a first for me. And while the car is elegance personified, the inability to open the doors from the back seat did not sit well with me (no pun intended). 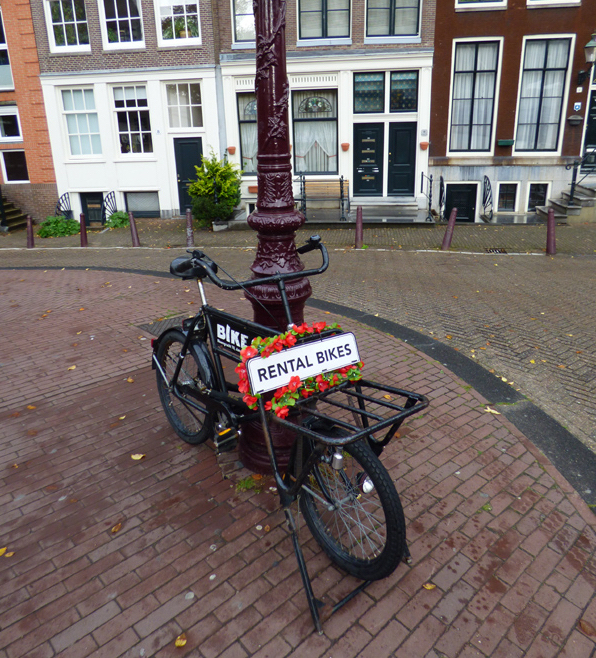 Nevertheless, the limousine maneuvered with ease through Amsterdam’s tiny streets, more suited to bicycle travel than luxury automobiles, and deposited us in the Conservatorium Hotel’s elegant courtyard, our home for the next few days. 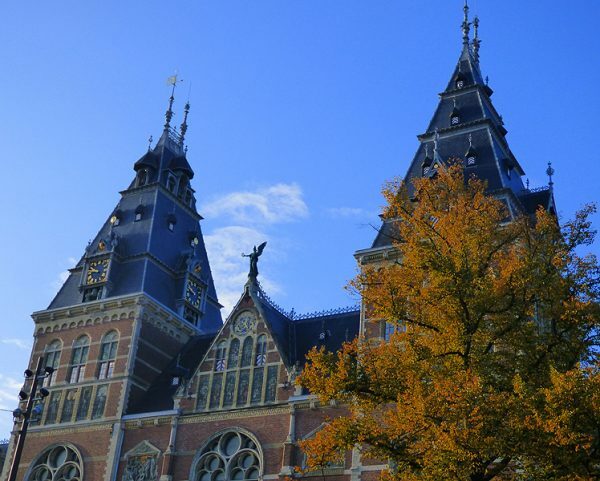 The Conservatorium Hotel is located in the Museum Quarter (Museumkwartier) in the elegant “Oud Zuid” (The Old South) area of the city, one of the most distinctive of Amsterdam’s neighborhoods and perfectly situated within walking distance to some of the world’s greatest museums. Across the street is the Stedelijk Museum of modern art; down the block is the Van Gogh Museum; within a short walking distance through the Vondelpark—created in the style of an English landscape garden—is the world-class Rijksmuseum and the renowned Royal Concertgebouw; and lest we forget, the designer-fashion district of posh shops along P.C. Hooftstraat, where a window shopping outing is like visiting a museum dedicated to sybaritic excess. Next morning, we woke to an unseasonable beautiful sunny fall day. We walked a short distance to The Royal Concertgebouw (Concert Hall) that proudly boasts of having the best acoustics in the world. 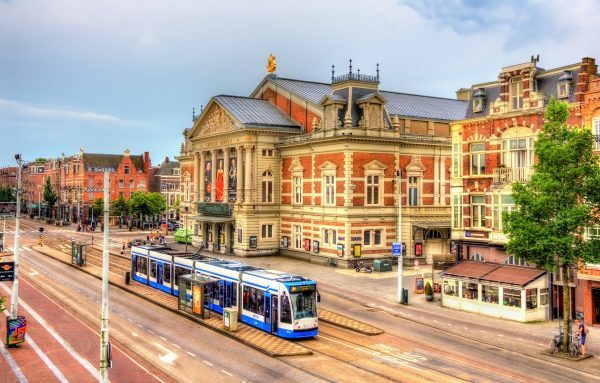 It was in 1881 that architect Adolf Leonard van Gendt was commissioned by a group of six wealthy private citizens to bring musical culture to Amsterdam. Van Gendt selected a swampy marsh near where the Rijksmuseum was being built and miraculously turned it into the neoclassical splendor that is The Concertgebouw. Sadly, our schedule was too full to accommodate a live performance, but we enjoyed a backstage tour and witnessed a set-up for that evening’s performance, which was fascinating. 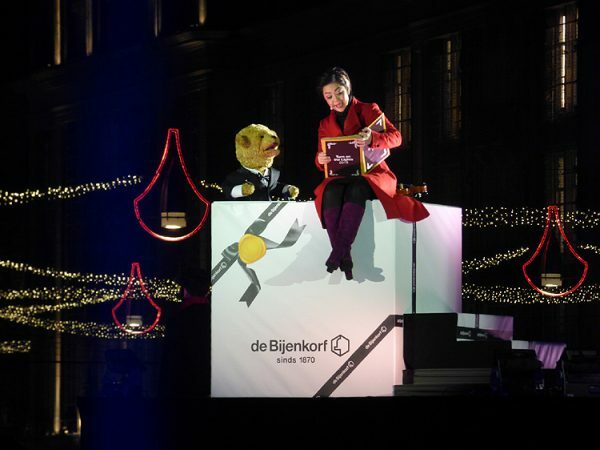 We ended the day by joining the traditional “Turn on the Lights” festival at Dam Square in front of the Royal Palace and across from the famous department store de Bijenkorf, the event’s sponsor. This free outdoor festivity ushers in the official opening of the holiday season and welcomes the arrival of St. Nicholas from his summer residence in Spain. Spain? Well it seems that the children of Amsterdam have never heard of the North Pole or reindeers in relation to St. Nicholas (Santa) and believe he spends his summers in Spain. Another long-held custom is for children to sing a special song when putting their shoes under the mantelpiece, along with an apple or carrot for St Nick’s horse, before going to bed. In the morning they will find small presents in the shoes to replace the fruit. I am told this delightful belief is faithfully passed down, and even when the children no longer believe, they never reveal it to their younger siblings. It was great fun to be celebrating with what seemed like all of Amsterdam, as huge crowds packed the square and surrounding streets to participate in the merriment. Most were unable to get close enough to see the live stage performance but it was streamed on large screens. There was music, dancing, colored lights, giant puppet animals, and the piece de résistance was an enormous chandelier rising into the sky holding fancy-dressed members of the band with their instruments. At the same time, aerial artists performed high overhead dangling from the chandelier. And if that was not spectacular enough, fireworks went off to conclude the festivities and the season was officially declared open. What a perfect way to end a glorious day in Amsterdam. The writer was a guest of the partners of Amsterdam Luxury. Barbara Angelakis is a seasoned international traveller and award-winning writer based in the New York City area. To read more of her articles and adventures, visit LuxuryWeb Magazine at www.luxuryweb.com.